Does it mean reactors will bloom down under? Maybe not right away. 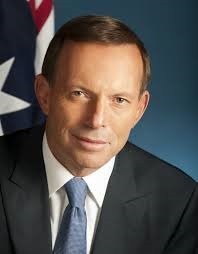 Abbott also said the government would not provide price supports or subsidies. Any reactor project will have to make it on the feasibility of its own business case. In a major shift in attitude, if not policy, the Australian government is now open to the possibility of having nuclear reactors built in that country. Prime Minister Tony Abbott (left) told reporters in Canberra on Nov 30 that nuclear energy offers the nation an “opportunity” to help cut emissions of greenhouse gasses. The statement from the political leader of the party in power is a significant departure from his predecessors. While Australia has about 12% of global production of the world’s supply of uranium, and sells it to the U.S., China, Japan, and India, it has an anti-nuclear policy combined with its abundant coal resources, making nuclear energy a non-starter. It is this traditional aversion to actually exploiting domestically the uranium it exports to globally that makes Abbott’s statements so interesting. King coal dominates Australia’s energy landscape accounting for just under two-thirds of its electricity generation. Natural gas accounts for another 20% of power. The combined mix of coal and gas all but eliminates a current market opportunity for big nuclear plants, but the opportunity for nuclear energy could change as coal plants age. One possible driver would be the price of natural gas or coal. Don’t look for carbon taxes to produce that result. PM Abbott dismantled the nation’s efforts in that direction last July saying it hurt consumers and business with artificially higher prices. While Abbott isn’t going to offer any economic incentives for nuclear energy, public opinion may push interest in it because of a desire to cut greenhouse gas emissions. Significantly, Abbott’s public statements in support of nuclear power come just a few days before the start of an international conference on global warming taking place in Lima, Peru. Legislation would be needed to lift the ban on nuclear power in Australia which would make it an election issue. Proponents of nuclear energy want a two-year long public consultation to promote dialog on the issue rather than throwing it into the political fray as red meat for opponents. In a “strange bed fellows” development, green groups and coal miners like Peabody would likely line up to try to stop nuclear energy from being authorized by law. Given the strong market positions of coal and natural gas, it is unlikely that if anyone is seriously thinking about nuclear energy in Australia, it isn’t with a 1000 MW plant in mind. Instead, small modular reactors (SMRs), in the range of 50-300 MW, might be attractive. Proponents of SMRs in Australia point to a long list of positive attributes including that some designs are air-cooled, which means they don’t need large fresh water supplies. Also, they can be built underground. SMRs can be used for desalinization of sea water, put in remote locations that don’t have power, and boost the nation’s ability to mine the resources it depends on for exports. Rio Tinto, the mining giant that extracts some of Australia’s uranium, said in a statement Dec 2 that it wants “the broadest range” of energy options for the future which includes nuclear energy. Rio Tinto said it would like a revised government policy in place by 2020 or sooner. This entry was posted in Australia, Nuclear. Bookmark the permalink.